Massive flooding in Cuba’s capital Havana in wake of the powerful Hurricane Irma. 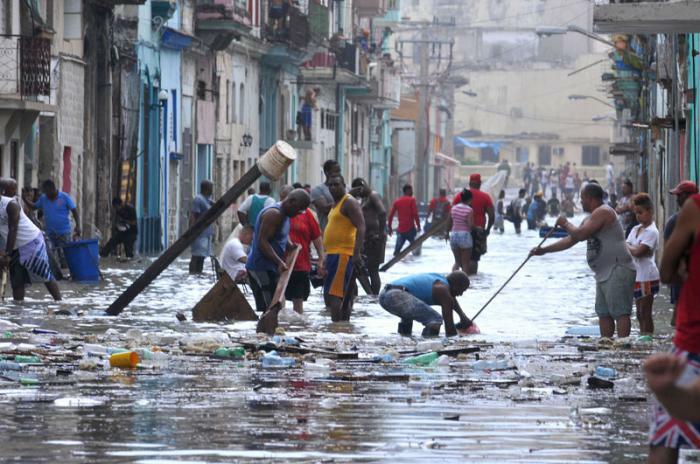 Across Cuba, people are working hard to enact a speedy recovery. It seems that the corollary is that what little “aid” has been promised by the Canadian government is not according to humanitarian need but an agenda according to a hierarchy; for example, the Canadian Forces are flying aid from France to French colonies, as well as to British colonies. Let us show the real heart of Canada and friendship with the people of Cuba as with the other small island states of the Caribbean and other lands by responding to this timely appeal! Hurricane Irma menaced and devastated the eastern and northern Caribbean, striking Cuba from September 8-10, resulting in significant and widespread damage. Accompanied by massive flooding, its sweeping destruction encompassed housing, communications, infrastructure, agricultural equipment, crops, and community buildings. While we are confident that the Cuban people will overcome any challenges posed by Hurricane Irma, Cuba will nevertheless have to expend considerable resources, both immediate and long term, in order to overcome the havoc wreaked by Hurricane Irma. 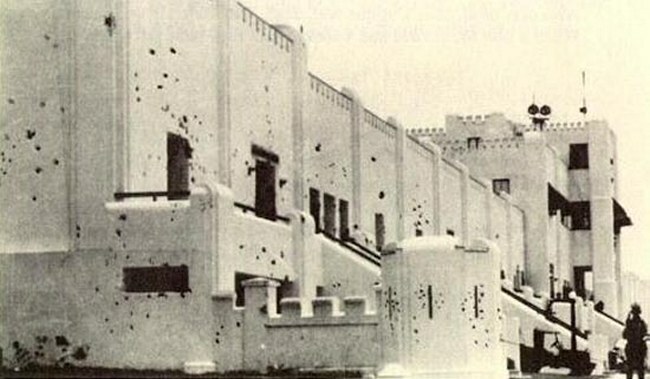 The Moncada Barracks shortly after the July 26, 1953 attack. The barracks have been converted into a school and Museum of the Revolution where the bullet holes shown here can be seen to this day. Celebrate Cuba’s National Day of Rebellion! 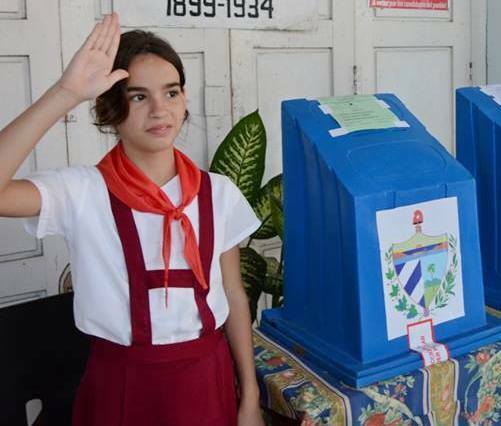 On July 26, 2017 the Cuban people celebrate the 64th anniversary of the historic attack on the Moncada and Carlos Manuel de Céspedes Barracks by the revolutionary youth. In appreciation of the Cuban revolution and all which it has contributed to humanity, come out and celebrate Moncada Day! We will be showing the inspiring film, Community Doctors – Official Documentary of ELAM, followed by discussion. No to the US economic blockade of Cuba! No to US violation of Canadian sovereignty!